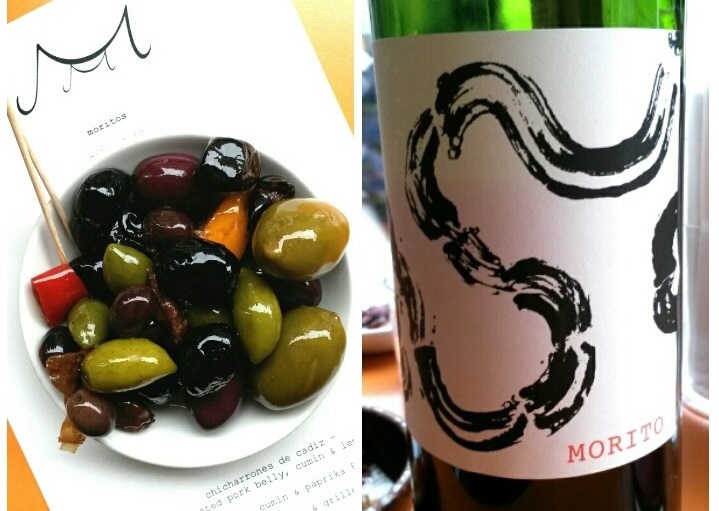 Morito is a Spanish tapas restaurant the little sister and neighbour of Moro in Exmouth market. Exmouth market is worth a visit alone, it is a beautiful street of independent coffee houses, cafes and restaurants. Again, it is a no reservation place, so we went on a Monday night straight after work, 6pm. As we arrived it already had a lovely buzz of people drinking wine and nibbling tapas. We sat down in the window and got excited with the mini spice dish.. The menu changes daily with loads of specials, a little overwhelmed we started with a bottle of the house red and some olives. We were taking ages to order because we were enjoying the red and olives but the relaxed style of service means you are not rushed at all and one we had made the difficult decision, we ordered..
We went for one of their specialities the slow roast pork belly with cumin and lemon along with; crispy aubergine, whipped feta and date molasses, fried chickpeas and chopped salad, jamon and chicken croquetas. The dishes come whenever the kitchen (two men in the corner of the room working some magic in a tiny space!) are ready. Each dish is really well spiced and if that’s not enough then you have your table spices to add even more. 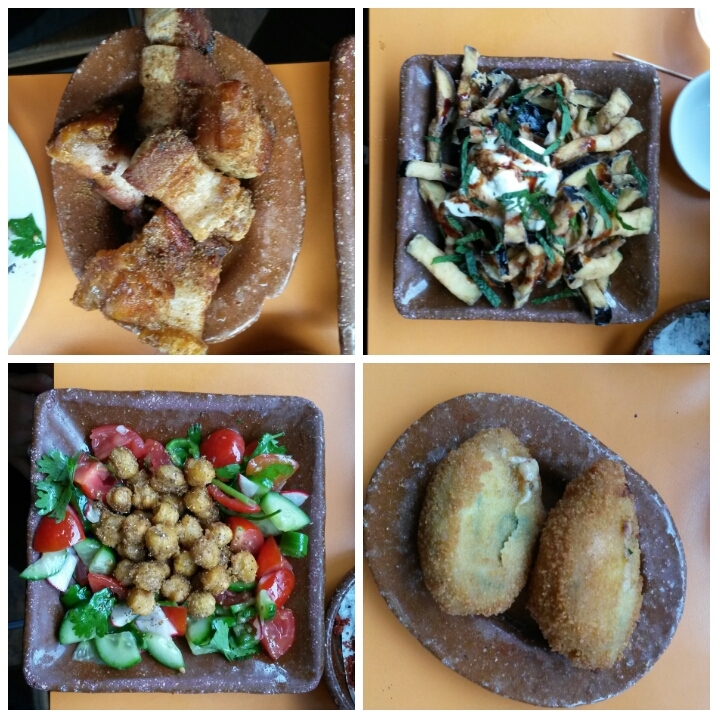 Highlights for us were definitely the pork belly coated in cumin and fried in delicious meaty chunks, also the aubergine pieces so lightly fried, crispy and moreish. Of course we ordered a dessert to share, the chocolate mouse with olive oil, hazelnuts and salt. Again I am a bit of a dessert snob, it was lovely but a little pricey compared to the tapas. This is the perfect place for a good catch up we were there for hours just nibbling tapas and drinking wine with no rush to give back your table.